What could be better than indulging your love of Chinese cuisine while being entertained at the same time? 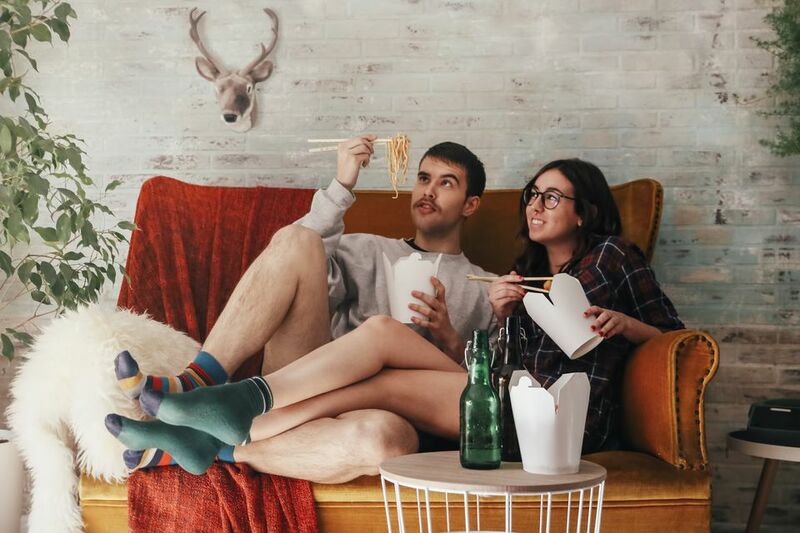 To help you match up dinner with a great flick, let's explore classic films with memorable Chinese food movie scenes. This classic film by director Ang Lee looks at the relationship between a chef and his three daughters. Food plays a prominent role in the film. It's a treat just to watch the father (one of Taiwan's best chefs) making elaborate preparations for Sunday dinner with his daughters, or supervising the action in his restaurant kitchen. An excellent film and a classic. The film version of Amy Tan's classic novel explores the relationship between three mothers and daughters. Many scenes take place around the kitchen table. Given the role food plays in Chinese culture, it's not surprising that many scenes take place in the kitchen or revolve around family meals. This movie is a holiday favorite for many families. How does Chinese food factor into a non-Asian family's 1960's Christmas in Indiana? Without giving too much away, there's a great scene involving a duck dinner at a Chinese restaurant. You may end up making it part of your own family tradition. Set in New York, this film features British heartthrob Hugh Grant as an auctioneer who makes the mistake of marrying into the mob. Without too many spoilers, there is a wickedly funny proposal scene that takes place at a Chinese restaurant. Based on the John Grisham novel, this movie is about a recent law school graduate (Tom Cruise) who finds an offer of employment by a Memphis law firm too good to pass up. The food scene comes near the beginning of the film when Cruise and his wife (played by Jeanne Tripplehorn) celebrate his new job with Chinese take-out. Enjoy watching Cruise and wondering how he managed not to age for so many years. Four couples always vacation together. The opening trip is a weekend together and the guys are doing the cooking in a cabin somewhere. They make Chinese food, and the kitchen is a smoking mess, with woks clattering, food flying, and the chefs getting in each others' way. You'll have to watch it in order to catch what they were making, it's a wonderful scene. A great movie from the 90's about "The Wonders," a Beatles-like pop band in the 60's, this one comes with an equally fun soundtrack. In it, Guy Patterson, played by Tom Everett Scott, seals the deal with Mr. White for the band to record with Playtone Records in a Chinese restaurant in Pittsburgh. The Tom Hanks character usually works every Christmas in the FBI office and eats take-out Chinese food. It's a rather sad reality for this man estranged from his family as he pursues Leonardo DiCaprio, who is a counterfeiter and felonious imposter. Uncle Benny's "front" is his Chinese restaurant. Mel Gibson and Chris Rock chase down the bad guys in Chinatown. If you gave up on the "Lethal Weapon" franchise before seeing this one, it's definitely worth catching. Jackie Chan and Chris Tucker are back in this classic comedy. The plot actually takes place in Hong Kong, so they talk about Chinese food a lot. A restaurant is also another front for their operations. What's the Best Wine to Pair With Your Favorite Chinese Food?